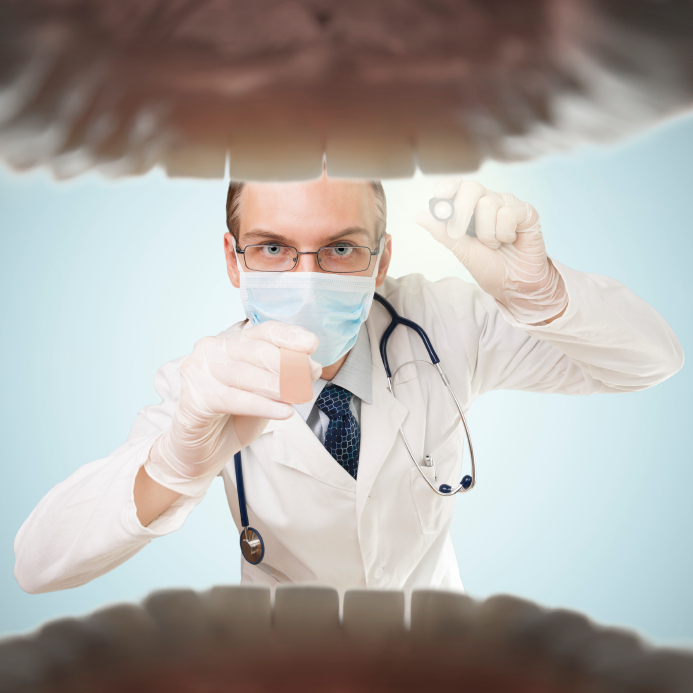 Oral cancer is an extremely serious disease that manifests itself in various ways. Without knowing the signs of its early onset, oral cancer is often not diagnosed and can quickly progress and become life threatening. But thankfully, an early stage oral cancer diagnosis is often easily treatable. Your dentist is highly trained to recognize these signs and symptoms, and with regular dental checkups every six months the likelihood of catching oral cancer in time is dramatically higher. Recognizing oral cancer in its early stages is key in treating it successfully, and while you may not notice oral abnormalities, your dentist will. A VELscope Cancer exam is non-invasive, entirely pain-free, is covered by MSP in some cases, and lasts only a minute or two at most. The exam catches invisible signs of dead tissue caused by tumors forming by shining a special light inside the mouth. Takes very little time, totally painless, and could save your life? It’s a no-brainer! Even with the most diligent daily brushers and flossers, there are still small areas in the mouth that are missed by a regular brushing and flossing. When plaque builds up it becomes more difficult to remove, solidifying and turning into tartar, which is extremely difficult to get rid of without professional help. 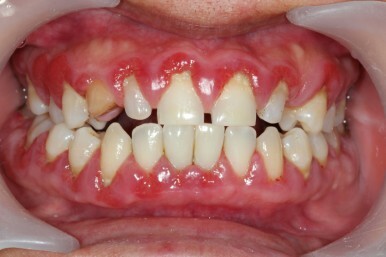 Once it reaches this point it is officially gum disease, and only at this point will there likely be any swelling, bleeding, or soreness in the mouth. Along with the breakdown of gum tissue, gum disease also causes a breakdown of the bone that holds teeth in place. At this point it is common to see teeth loosening or falling out altogether and drastic treatment methods will have to be taken by a dental specialist. Not only do specialists require more appointments and likely a blow to your wallet, but treatment of gum disease, depending on the severity, can include surgery, extremely deep cleaning, and medication. To avoid all of this, regular dental cleanings are essential in catching and addressing gingivitis before it gets out of hand. There are many bad habits that can have a negative impact on your oral health, some of which you may not even realize are causing issues. Some of these habits include chewing ice, biting your nails, clenching your jaw, grinding your teeth, eating particularly sticky or hard sweets, brushing your teeth too hard, drinking coffee and red wine, and of course smoking. When you go for regular dental checkups, your dentist can check for any oral damage caused by these or other habits which you may otherwise not have noticed. Being informed about specific destructive habits allows you to change or alter your lifestyle choice to prevent further damage. Visiting the dentist allows you to fix the damage that has already been done, and help your oral health be the best it can be. A crucial part of visiting your dentist every six months is getting your teeth and jaw bone x-rayed. 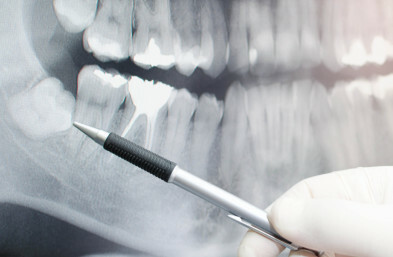 X-ray images allow dental professionals to see what is happening beneath the surfaces of your mouth, and can find and diagnose issues that may be invisible to the naked eye. Problems like this can include impacted teeth, which are growing teeth that are blocked from pushing through the gum line, as often seen in wisdom teeth. Damage to the jawbone can also be pinpointed as well as any bone decay, swelling, cysts, or tumours, all of which are impossible to actually see without x-ray imaging. Finding these or any other major oral issues as soon as possible is critical in order to properly treat them. Especially with destructive diseases that show little to no symptoms but progress quickly, up-to-date x-rays and bi-annual checkups are the best way to keep on top of your health. In addition to checking your mouth, gums, and tongue for signs or oral cancer, your dentist will also check your neck, jaw, and lymph nodes, located just below your jawline, for any swelling, lumps, or other abnormalities. If an abnormality is found it could be a sign of a major health issue, and your dentist will alert you to it and refer you the appropriate medical professional. Swollen lymph nodes are a particular area that do not necessarily hurt or seem out of the ordinary but when identified properly by a professional could be a sign of certain kinds of cancer or other diseases that require immediate attention. Not having regular dental checkups drastically cuts down how often your neck and thyroid glands are checked. So while looking for abnormalities only takes your dentist a minute, it could mean an extremely serious disease is identified early enough to make a huge difference. So, Are Dental Checkups Worth the Effort? 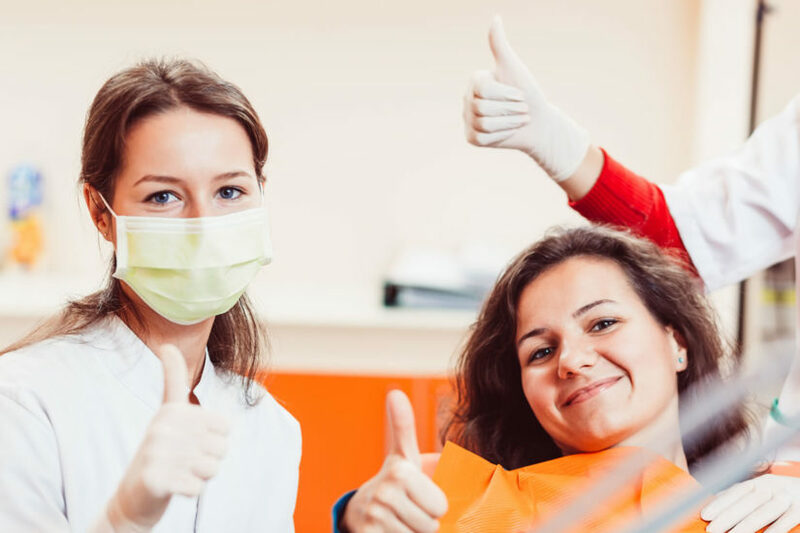 Skipping dental appointments may not seem like a big deal, but oral issues can develop and progress extremely quickly whether or not you notice it. By keeping on top of your dental cleanings and checkups you’re doing yourself a big favour in the long run.